The Gerard Butler 300 Workout and diet is a 5-6 day routine. The workout focuses on olympic lifts, functional training, and metabolic body movements. The Gerard Butler 300 workout was designed by Mark Twight, a record holding mountain climber and lead personal trainer of Gym Jones in Salt Lake City, Utah. I wanted to look really strong. I’ve seen so many actors play these kinds of roles, and you see all this equipment on either a big belly or skinny little arms. 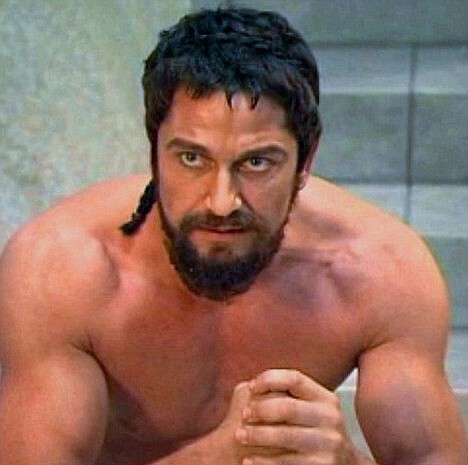 To become King Leonidas, Gerard Butler spent 4 months training to get in shape. The King of Sparta says that in order to get a warrior’s body, it was essential to get a warrior’s mentality. After the intense workouts, Gerard Butler would often feel queasy. This made the the mental aspect as important as the physical. Interviews with Gerard Butler while promoting 300. Interviews with Gerard Butler’s trainer, Mark Twight of Gym Jones. Magazine Interviews in Men’s Health, Men’s Fitness, and Esquire. The Gym Jones team that supervised the Gerard Butler 300 workout had them train twice a day. 2x Two-hand KB Clean and Squat @ 35-45 lb. (16-20kg) One combo every 30 seconds for 5 minutes. When there are psychological changes, the physical changes will fall into place. If you can teach someone’s mind to be strong, then it is easy to teach the body to be strong. The first and most important point of our philosophy is that The Mind is Primary. “Jonestown Sprint” – 45 secs of each exercise. 2 sets. Turn them into a gang, a unified force whose trust and belief in one another would be obvious on the screen. 50-50-50x Wall Ball @ 20lb.(9kg.) Medicine Ball Relay: (They broke the guys down into teams of 3) Player 1 does 50x Wall Ball, Player 2 does 50x Wall Ball, Player 3 does 50x Wall Ball. 50x50x50x Ball Slam @ 25lb.(11kg.) Relay: (They broke the guys down into teams of 3) P1 does 50x Ball Slam, P2 does 50x Ball Slam, P3 does 50x Ball Slam. 1 minute for each station. Find a challenging amount of reps you can do in 50 secs. If you go fast in the following sets, you get rewarded with rest. The only rest you get is if you finish in under 1 minute. If you start to dog it, you lose that rest time. It’s psychological. Like a lot of the exercises you’d expect from a gym called Gym Jones. Get everything done in 1 min or less. If you move fast, you get to rest. But, it gets harder as you go longer. You may find there This makes it harder to find rest time between sets. See The Gerard Butler 300 Workout for Wednesday – Friday on the Next Page. Great article, it was hard to find everything that took place for the preparation of the actors in the movie, and it’s pretty much all summed up here. Thanks, glad you liked it. The 300 workout is an intense training regimen. Yes, you want to take a rest where you need it. You’re likely going to need a breather after all those kettlebell swings. But, the key to the Gerard Butler workout is intensity. When you do each exercise, make sure to do it with intensity. Also could you explain the 1st Saturday workout a bit more in depth please. The Ladder Pull Ups means you do 1 rep, then 2 reps, then 3 reps, then 4 reps, then 5 reps. Then you do 4,3,2,1 back down. If sounds easy at first, but your likely to hit failure toward the end. The 2nd workout is a circuit. So, you go from one exercise to the next. 60sec at each of the stations with 30sec rest to switch between each one. I understand in a crowed gym it will be hard to run around doing each. Do what you can: circuit or break it up so that you’re doing 3 sets. Unless otherwise stated, you do 60 secs of work at each station. On Monday, I’m taking it that you meant 2 cleans then you squat it 5 times for five mins? And what did you mean by the combo part? Yes, you are correct. You do the 2 cleans then 5 squats back-to-back. That’s what I mean by “combo.” Another terminology you may be familiar with is superset. You superset the 2 exercises. You should be able to get a superset done in about 30 seconds (focus on form not time). Then, repeat the superset every 30 seconds for 5 minutes. Starting out, I found I had to take a bit of a breather in between. So feel free to condition yourself as you work your way through the 300 workout. 3×5 means 3 sets x 5 reps. I agree that’s confusing when it comes to wall squats. For wall squats, this is a warm up for the leg routine. So, go for around 30 seconds to be counted as a rep. Time will vary based on your fitness level. The key is just to get your legs warm. For goblet squats, count a rep the same way you would for a normal squat. The difference is just that you’re holding a weight out in front of you instead of it resting on your shoulders. So, for goblet squats if it says 3×5: that’s 3 sets of 5 reps.
your hands to balance against the wall as you continue to drop into a full squat. Thanks Alexander. I used the best video I could find at the time. Will update with the video you mentioned. also there’s a lot of exercises where it doesn’t say how many sets, does that mean just do everything 1 set? “Jonestown Sprint:” 45 secs of each exercise. 2 sets. For the Jonestown sprint, you do 45 secs of each exercise, then immediately move to the next. 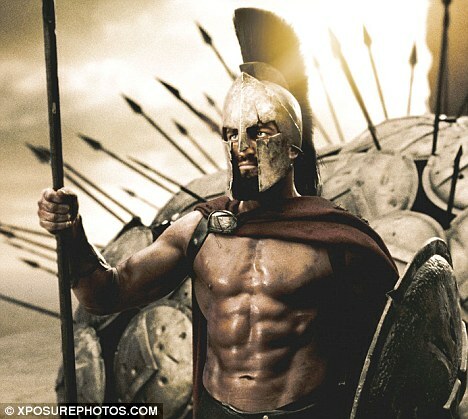 Once you’re done with each exercise, Gerard Butler and the 300 crew would move to the next exercise. They would do 2 entire sets. Another example is the Saturday 2nd workout. I will try to bold a couple things to make it easier to read. Again, let me know if you need any more clarification on any part of the 300 workout routine. I am confused about the first Friday workout where it says “Do 45 secs of each exercise. 2 sets through”, how do you only do 45 seconds of the following exercises? Use a weight that challenges you. Start with a 25 in each hand (that’s what @ 2 x 25 lb. means). If that weight doesn’t challenge you for 45 secs, then jump up in weight. If that is too challenging, jump down to 20 lbs. These are from the first Monday workout. Are they one set each? I am going to put these workouts in table format, to make them more clear. Use the “One combo every 30 seconds for 5 minutes” for both of these. The 5x means 5 reps every 30 seconds. The 6x means 6 reps per leg. The risk/reward mentality of the Gym Jones workouts is that if you get it done fast, you get more rest time. If you go slow, you start to huff and puff even more, will less rest time. But, make sure that going faster doesn’t mean you compromise form. Was this just a sample week of how they trained or did the actors constantly repeat these workouts? The 300 actors constantly changed their workout. This is a sample week. But, the good thing is that you can easily build from it. These are the exercises their trainer said they used. To truly empower yourself with this workout, just change it up so that you’re doing something a bit different each week. Thanks for the article! Could you please explain the Dumbbelll speed circuit mentioned in wednesday’s 1st workout? Sure thing! I’ve updated the article to make the Speed Circuit more clear. For most of the exercises, you can use barbells or dumbbells. Just, in a crowded gym, dumbbells are easier to get your hands on. The idea is to do a 2 min circuit of 6 reps of each exercise. So, 3 sets where you set the timer for 2 mins. Do each exercise 6 reps, then move to the next exercise. The 300 crew would try to race each other, to see who could pump out the most reps. But, remember this is about safety and performance, not how many unsafe reps you can do. could you please fix the ‘table not found’ problem? Fixed. We’re in the process of updating the theme. Thanks for your patience! This is my first time visiting this website, and I really want to do this workout, but I still find the way the tables are set up to be a little challenging to read. Why does it seem like there are two slightly different tables for each workout? The first set of tables (yellow) were added to make the workouts more clear. (Also, added so they could be easily printed out or seen on a smartphone). They should be accurate, but less detailed. The table below should be more detailed, but some find them harder to read. If you see a discrepancy, let me know and I’ll investigate. But, it’s actually the same workout. Again, if you see something that looks like a discrepancy, I’m happy to investigate/articulate. Also, there’s 2 workouts per day. So you will see 2 sets of 2 tables. I’m still confused on how to do the clean and squat superset. Would it be like this: 1 clean followed by 5 squats and after 30 seconds do another clean with 5 squats? That’ll be 2 sets in 1 minute or no? The key is in the explanation below the chart: 2x Clean + 5x Squat @ 70% body weight (One combo every 30 seconds for 5 minutes). So, you do 2 cleans followed by 5 squats. You need to get that done once every 30 secs, or twice a minute. There’s very little rest during a Mark Twight workout. The 30 sec timer is how long you have to get all that done (2 cleans and 5 squats). Thanks for this article. Although I cannot make two workouts a day this is kinda split into a two week plan for me. Let’s see where it brings me! Two workouts a day are crazy anyways. One should be fine. Also, you can do cardio workouts on days when you have time. Gerard Butler would take days off and just do 90 minutes of different cardio at a slow pace. Good Luck! btw: I am now following the plan for 4 months – started with about 15% Bodyfat and could decrease it to 11% so far (with keeping proper macros most of the time). Besides the programm I am playing football (soccer) twice a week! So, I really must thank you for the efforts! Awesome. Thank you, for the effort, sticking with it, and letting us know how it’s going. Keep it up! How many reps within a minute for each exercise for the dirty 30’s? Find an amount of reps that’s challenging for you to do in 50 secs. If you go fast, you get rewarded with rest. If you start to dog it, you lose that 10 secs of rest time. It’s psychological, like a lot of the exercises you’d expect from a gym called Gym Jones. Try to continue to get everything done in 50 secs or less. If you move fast, you get more rest. But, it gets harder as you go longer. This makes it harder to find rest time between sets. How do I get print friendly version of the whole workout. It will only work for page 1. Navigate to printfriendly.com and type in the URL (/2 and /3 if you want those pages). Then, you can click on the objects you want to delete, and are left with just the workouts/whatever you want to keep. Great article, but when you click on the printer friendly version it only gives you the first page (out of four). How can we get the other three pages? Sorry, just saw the answer above. Thanks for noticing. I’ve fixed the Saturday workout routine per your questions. It should be “reps” for barbell rows/situps. For slosh pipe hold, that’s meters. For beginners, you can just hold in place for 50 seconds. To make a slosh pipe, you can add water to a 10″ PVC pipe. Though, I just use dumbbells instead of a slosh pipe, as it’s much easier than making your own equipment. Thank you for the clarification. Also for the pull ups ladder on thursdays workout, I’m not sure how that works. and for the pullups on saturday? And I don’t have access to tires to do the flips, I did sumo deadlift to high pull, what would be the best alternative? and how many reps and sets? It said 3 sets of 40m? Sure thing! The Pull-Ups Ladder means you and a partner do a bunch of sets back-to-back. If your solo, then only give yourself the rest equal to what it took you to perform the exercise. The 300 crew used rings instead of a normal pullup bar. So, you do 2x, then 3x, then 4x, then 5x with very little rest. "Ladder" means you start with 1 set of 2, then 1 set of 3 reps, etc. up to 5. Rest 3 mins after entire ladder. Then, repeat Ladder 2 more times. Saturday is the same. Only, you do 1x, 2x, 3x, 4x, 5x (x=reps; 15 total), then move onto the next exercise. I don't have access to tires, either. So, I use kettlebell swings. You can even do dumbbell swings, if that's all you have around at the moment. Sumo deadlift to high pull sounds great, as well. What was the last question about 40m in reference to? Also what is an alternative for the resisted rope pull? And the sparrows dozen, is it 12 deadlifts, 12 pullups, 12 pushups, 12 med ball slams = 1 set? then I do a total of 12 sets? 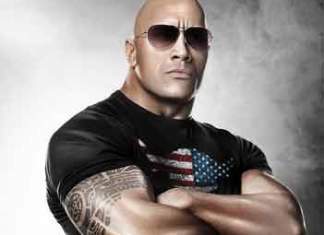 =144 DL, 144 pullups, 144 pushups, 144 ball slams? The Sparrow's Dozen is the pinnacle of the Gym Jones routine. Starting out, I would aim for less than 12 sets. Do as many as you can, and try to add another each week. Yes, the ultimate goal is 12 sets x 12 reps of each = 144 reps. The mentality at Gym Jones is about pushing you to the brink. When they were training, Twight wanted to see who would give up first. So, that's why this rep range may sound crazy. Yes, Farmer's Holds is 20 meters. Added the (m) to the table. Resisted rope pull alternative? Hard to say, because it's such a unique exercise. I would probably do dumbbell rows. They aren't as metabolic, but they work the back muscles. If there's room in your gym, you could do DB rows + sprint to more fully mimic the resisted rope pull. I read an article about how good kettlebell swings are for your body (shrink your waist, improve endurance). Since then, I've added KB swings to most of my workouts (as a finisher). They're a great way to leave the gym knowing you've given it all you got. Usually, with a heavier KB, I go for 3 sets of 12. It all depends on when you get to that point where you're out of breath. The Gym Jones mentality is to get you to that "edge." Proper form is the key with KB swings. Most people make the mistake of trying to use their arms as part of the force. The best advice I've ever got about KB swings, is to "think of your arms as a cable, let your legs and torso do all the work." Look down toward your waist as the weight comes down, then use your lower body (with your arms merely the cables) to raise the KB's back up.